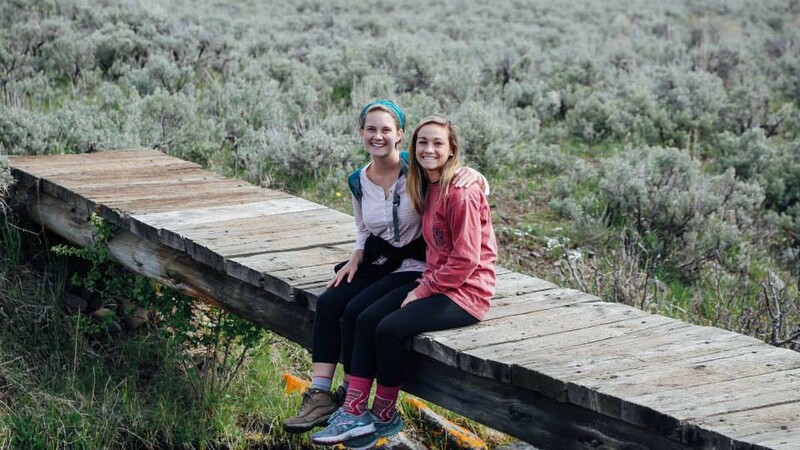 Rising senior social work major Rebecca Sanders trekked many miles and asked many difficult questions during Professor Dr. Andy Watt’s Maymester program as she and her team learned the history of the western U.S.’s land and people. The trip began May 12 on the Pine Ridge Reservation in South Dakota, where Sanders met with tribal elders and local artists to hear their stories and visit important, local sites. The next stop was the Crow Reservation in Montana to learn about the Battle of Little Big Horn and Crow culture. Soon after, the group traveled to Yellowstone National Park to participate in the park’s Wolf and Bear Exploration and Cody, Wyoming for the Buffalo Bill Center of the West. The trip concluded May 29 in Keystone, South Dakota with stops at Mt. Rushmore, the Crazy Horse Memorial, Sylvan Lake and Badlands National Park. Sanders explained that Belmont prepared her for the trip by teaching the value of a good question asked in humility. “As we traveled to two Native American reservations, the first national park and various sites along the way, we asked hard questions. We asked about the justice of American westward expansion as we learned from our Lakota and Crow friends. We asked about the health of eco-systems within Yellowstone National Park and the controversy over wolves and bison. We asked about the nature of respect owed to historical figures. Belmont has taught me to never stop asking questions,” she said. Sanders said she is thankful Dr. Watts mentioned the trip during her Christian Ethics Seminar last fall. Primarily having traveled abroad in the past, Sanders wanted a chance to experience America more fully. Looking for an opportunity to spend time outdoors and learn about American history from the people who lived it, Sanders said her time in Pine Ridge was exactly what she hoped for. “Every day was an adventure,” she said. Sanders plans to obtain her master’s degree in social work after graduation and go on to work within the criminal justice system. Thanks to her trip, Sanders said she has a more practical understanding of the many ways people experience life in America and a deeper insight into the theories and statistics she has learned in class.